It’s starting to sound increasingly unlikely that CD Projekt Red will ever port Thronebreaker: The Witcher Tales to Nintendo Switch. Facing a Nilfgaardian invasion, Meve, the war-veteran queen of Lyria and Rivia, must set out a dark journey of destruction and revenge in this single-player role-playing game. Set in the world of The Witcher, the 30-hour experience combines narrative-driven exploration with puzzles and card battle mechanics – challenging you to manage your resources while recruiting and developing units to build an army. But, despite seeming like a perfect fit, it won’t be coming to the portable home console. 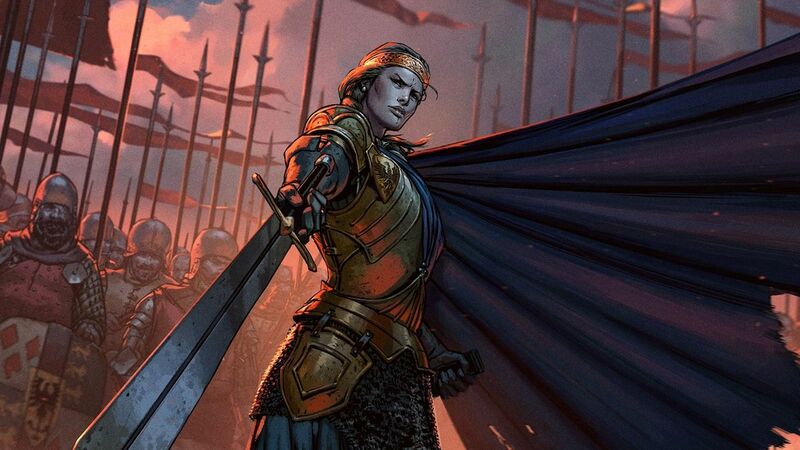 “There are no plans to release Thronebreaker on any other platforms than PC (GOG.COM), PlayStation 4 and Xbox One,” a CD Projekt Red spokesperson explained to Eurogamer. Thronebreaker: The Witcher Tales is now available worldwide on PC and will release for PlayStation 4 and Xbox One on December 4th.